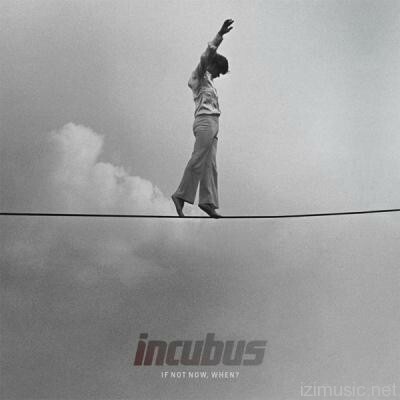 INCUBUS- If Not Now, When? This is a pointless record. It should be no surprise to hear that it’s polar opposites to the band’s early work (anyone still pining for that probably needs a new hobby) but what is unexpected is how far removed it is from even ‘Morning View’ or last album ‘Light Grenades’. Ok, so it’s not a complete shock, the band already declared album number seven would be “different from anything that we’ve done.” But they also said ‘If Not…’ would be a sharply focussed but warm and romantic record. It’s not. The opening title track doesn’t break the bad news gently either. Flabby and lifeless, it’s a five-minute meander without a crescendo, killer chorus or single hook in sight. It sounds everything like U2 and nothing like five dudes who love Faith No More, and is a tasteless flavour of things to come. ‘Promises, Promises’ has both a weird country vibe and chart-pop stink, still no hooks though, ‘The Original’ aims for epic but gets only irritating, and if ‘Thieves’ is just a little summery, sweet and exciting, the lumbering, undercooked and overlong ‘In the Company of Wolves’ kills the pleasure stone dead. Without any immediate thrills you want this to be a grower but repeat listenings will only further frustrate. There is nothing to work with here, no layers to get lost in, only a band running on fumes. Most of these tracks don’t even feel like B-sides but like unfinished business, like ideas not done. This is the sound of a band pleasing themselves and no-one else. your are a shallow abomination who has no appreciation for incubus as a band but also as individuals, it may be nothing like science, morning view or make yourself but it is an amazing album. it is one of my favorites ever by them, they are my favorite band and they always will be, im only 16 but even i have appreciation and respect for great music when i hear it. you need to step out of your comfort zone and experiment with your taste in rock music and culture. do you even know anything about incubus or the role they have made in rock history? brandon boyd is my hero and i dont like the fact that your bashing incubus and its members. these lyrics are great and took 5 years to create since there last real album as they were on a hiatus. these are some of the the best lyrics they have ever writen. and yes the write all their own music and always have. every song on this album is retardedly good. they took time and alot of effort on this album. and 3 of the songs on this album were big hits on the rock charts and adolesence blew up, it was #3 on all the rock charts. i strongly encourage you to unbiasly listen to this album. i dont understad how any “rock lover” could not appreciate the skill in instrumental and songcraft. as far as im concerned there the best band ever next to pearljam and the dead. theres no one like them. they are amaqzing in every way they are an amazing band and great respectable indiduals, they represent what rock realy is and should be. they have been makind a difference in my life since make yourself to if not now when. for 32 years they have been my idols and no matter how you flip it,they will always play a part in history.